Time to chill out on ESTORIA L! Can you remember your last holiday? It probably feels like a long time ago! Why not create that holiday feeling in the comfort of your own garden? 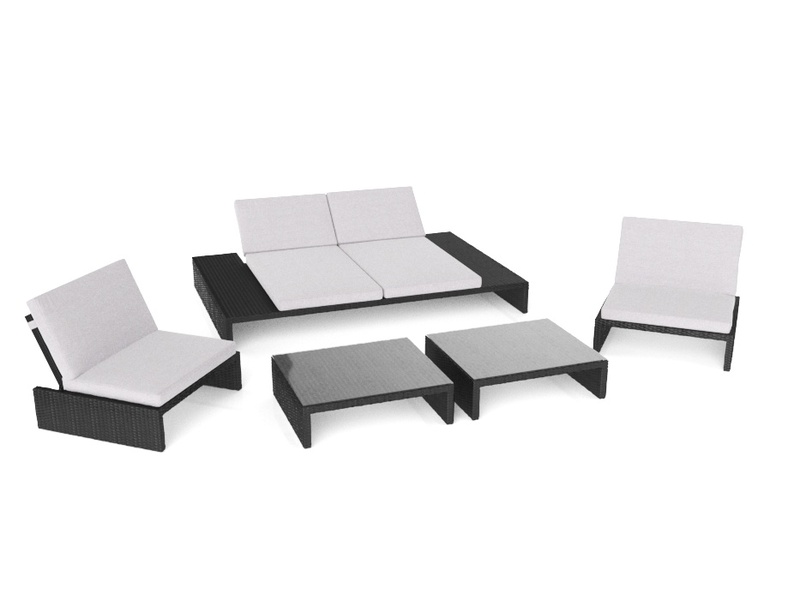 We’ve got the perfect garden furniture set for you! 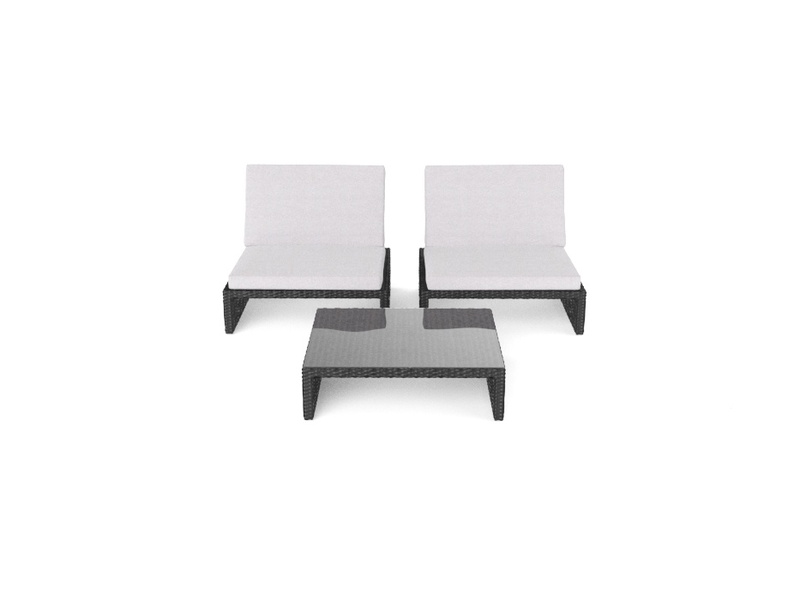 The ESTORIA L Outdoor Lounge Set boasts two tables with 5mm thick safety glass table tops, a double lounger and two chairs. 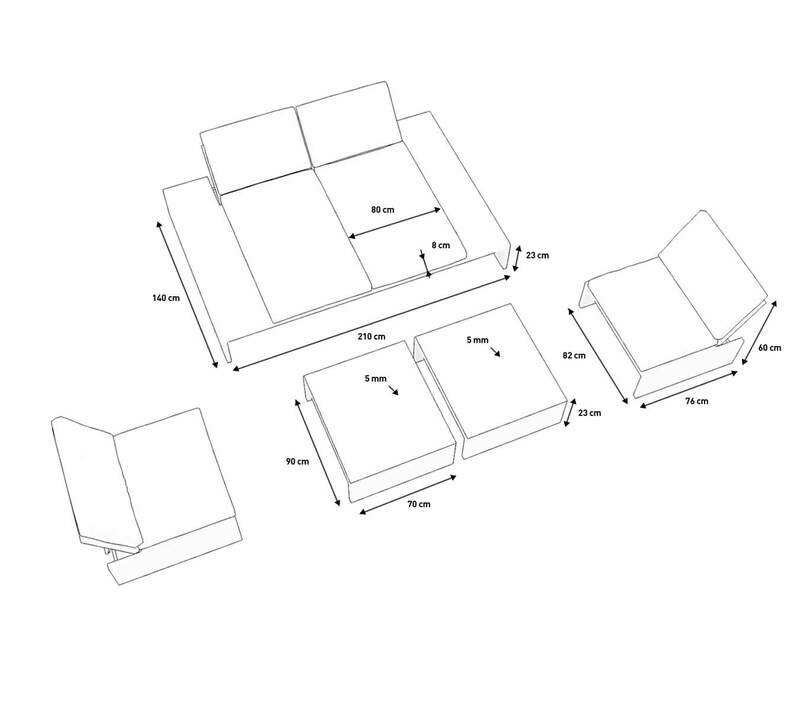 The tables can be joined on to the bottom of the double lounger to form an extra-large daybed, or they can be joined on to the chairs to form single loungers. We provide you with extra cushions to make this possible. 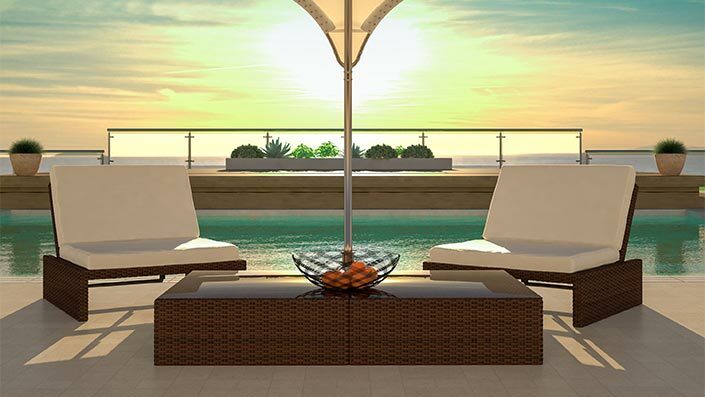 The weather-proof rattan is woven around a powder-coated aluminium frame. The comfortable cream-white cushions are included in the delivery The cushion covers are made from 100% polyester and the cushion filling is made from foam.